There is a never ending list of parts requested! There is a whole lot more than meets the eye in our retail store. Behind those doors that we run in and out of constantly, is a full warehouse of parts and supplies plus another upstairs, PLUS three garages outside. Let’s just say… we stock what we can. Not only do we need to stock or have readily available, parts for equipment we now sell and install but we also need access to parts for equipment that we used to sell; parts that became outdated long ago and parts for equipment we don’t sell. 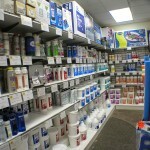 We can’t, obviously, stock every part for every brand of pump, motor, filter, heater, cleaner, light, etc. 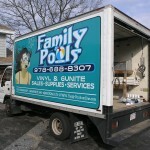 but we do receive truck deliveries daily. 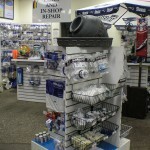 If you are in need of a part that we don’t have, we can most likely get it for you within a few days. Please inquire. To those of you who have just newly found us and those of you who bought houses with pools recently and know nothing about them…we welcome you! We want you to know we’re here for all of you! 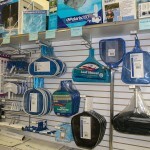 To better serve you, please fill out our Equipment Form and email it to servicedepartment@familypoolsonline.com or bring it in on your next visit. We will use this information (and any pictures you attach) to create a new profile or update an existing one. It not only helps us maintain inventory in the store and on our service trucks but the next time you come in and ask Kevin for a thingamajig for your whatchamacallit, he’ll know exactly what you mean! 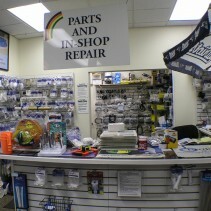 For Parts & Repair inquiries, call Kevin at (978) 688-8307 ext. 23…the doctor is in!